Biosemiotics (bios=life & semion=sign) is an interdisciplinary science that studies communication and signification in living systems. Communication is the essential characteristic of life. An organism is a message to future generations that specifies how to survive and reproduce. Any autocatalytic system transfers information (i.e. initial conditions) to its progeny so that daughter systems will eventually reach the same state as their parent. Self-reproducing systems have a semantic closure because they define themselves in their progeny. A sign (defined in a broadest sense) is an object that is a part of some self-reproducing system. A sign is always useful for the system and its value can be determined by its contribution to the reproductive value of the entire system. The major trend in the evolution of signs is the increase of their complexity via development of new hierarchical levels, i.e., metasystem transitions. 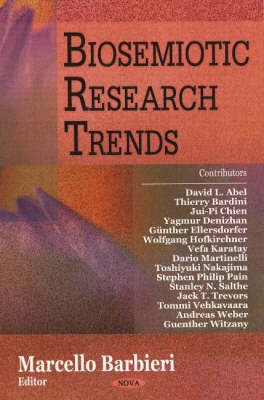 This book presents new research in this dynamic field.